There are many legends surrounding the arrow known as Deadfall. 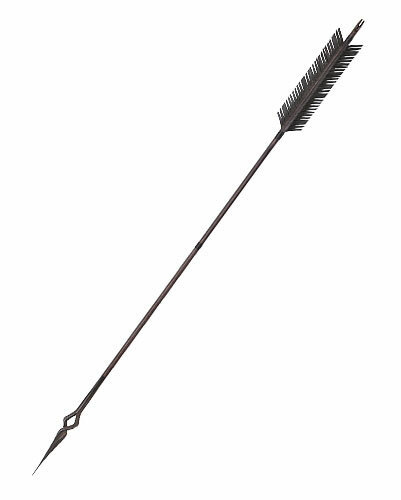 The most prominent is that it was used to slay the dracolich, Xemni, by the half-elven reaver known as Tarnaris Deadeye. Supposedly, the arrow gained a portion of the dracolich's wickedness when it pierced the monster's unliving heart. When this magical arrow is placed in your quiver, all other arrows within it deal an additional 1d6 necrotic damage. In addition, when you shoot Deadfall from your bow, you gain advantage on your attack roll and it deals an additional 3d6 necrotic damage.